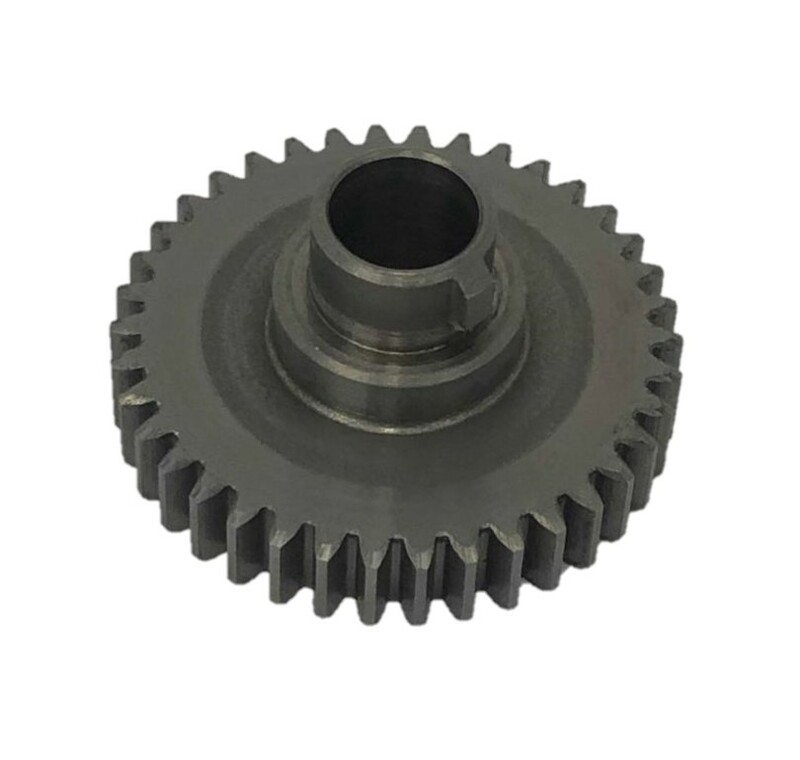 Steel gear for the big bre Super 7 tumbler reverse lever. Has 38 teeth, and a bush coming out of it for a standard changewheel to slot on to. The standard changewheel for this is a 24T gear, which can be found.